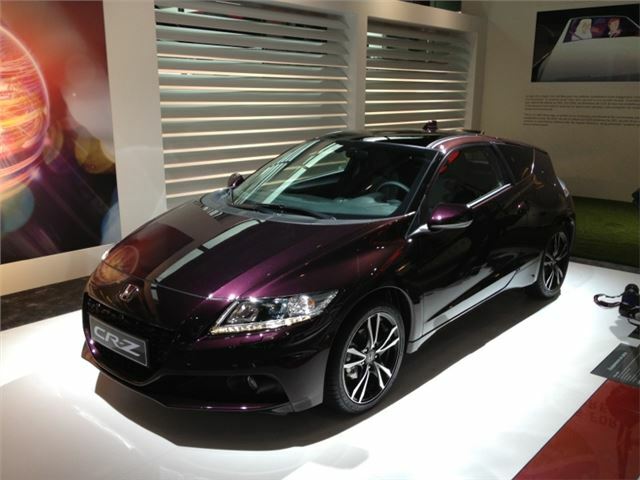 Honda has shown the facelifted CR-Z at the 2012 Paris Motor Show. It’s slightly more powerful than the outgoing model, with 137PS from the hybrid-electric system, which combines a 1.5-litre engine with an electric motor. There’s also a new Lithium Ion battery which has a greater capacity and an S+ system that delivers greater performance at the push of a button. There are a few cosmetic revisions too, like a new rear diffuser and new exterior colours – violet and yellow. Performance is better, with the 0-62mph sprint time reduced from 9.7 seconds to 9.0 seconds. Fuel economy is 56.5mpg and emissions are 116g/km.